Acknowledgments: This testing funded by the U.S. Geological Survey and Mid-America Earthquake Center. The help of Professors Steve Obermeier and Roy van Arsdale is appreciated. 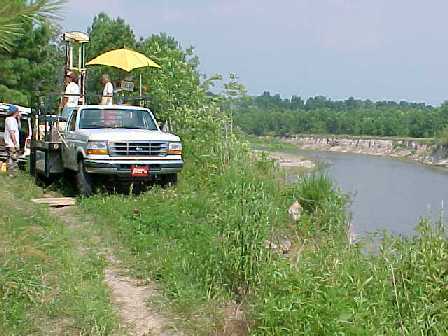 On July 9-10, 2000, seven CPT soundings were performed along the bank of Wolf river in non-liquefaction and marginal liquefaction sites.